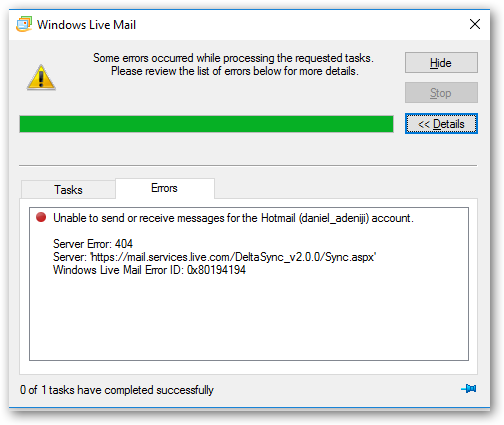 Installed Windows Live Mail 2012 on MS Windows 10, but unable to connect to Hotmail. Please enter your PIN to sign in. Your Account is protected by two-step verification. Are you sure you want to turn off two-step verification? If you turn off two-step verification, you won’t be prompted for a security code when you sign in on a device that isn’t trusted. Once you return to the “Manage page”, you can confirm that Two-Step verification has been turned off. There might be a problem with your Internet connection. Make sure your computer is connected to the Internet. … Please check to make sure your firewall is not blocking Windows Live Messenger. Wanikiya and Dyami–Team Zigzag Windows IT-PRO (MS-MVP). As a recap, we can get Windows Live Mail to work on MS Windows 10. At the alter we sacrifice Two-Factor authentication. Open up firewall specifically for the App. 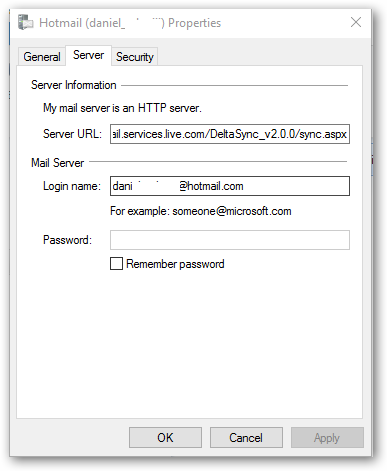 And, create an adjacent connection profile that communicates directly with the IMAP & SMTP ports as the in-built DeltaSync Web Services no long works. Personally I uninstalled Windows Live and settled on emClient. Please keep in mind that the free tool only one to register and receive emails from two email providers.